Hellraid may seem strangely familiar to you. 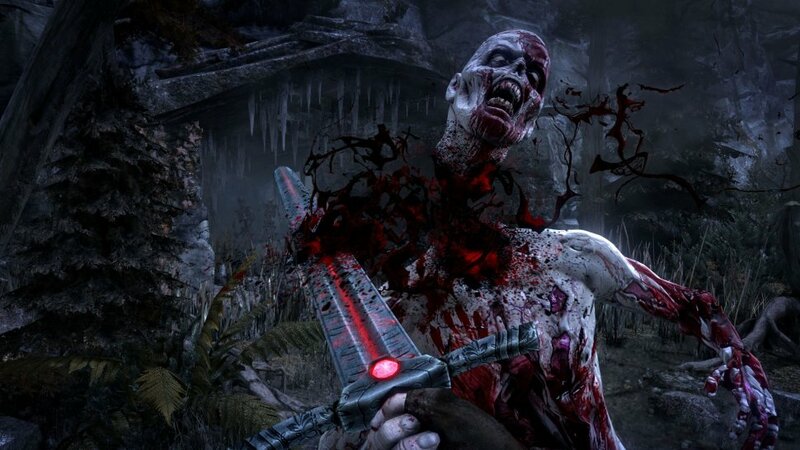 If you think the first person co-op slasher looks a lot like Dead Island gussied up in a Gothic skin, you'd be right. Techland made both the modern day tropical island zombie title and this dark fantasy nightmare. I think it's safe to assume these games will be very similar. With a couple of tweaks that might be a good thing. Then again, it might not. Techland did just pump out Call of Juarez: Gunslinger, which was excellent, whereas Dead Island: Riptide lacked the fun factor of the original. I'm cautiously optimistic. The new trailer is lacking in the story department, but It does feature several reanimated corpses in various stages of decomposition. We're talking everything from freshly-dead knights to bare bones skeletons. The walking dead are so much fodder for the hero's vicious melee and magical attacks. The bound Minotaur we've seen before also makes an appearance, and he is not happy about it. The game looks pleasant enough. I hope the developers get rid of Dead Island's weapon durability and stamina meter. Constantly repairing weapons does not enhance a game experience, and flailing away with the same horizontal slashes while managing endurance is not going to work for me this time. I have no idea if those annoying mechanics have made the transition from Dead Island to Hellraid. I hope to find out more information at E3. The Hellraid blog claims to have "a more advanced combat system based on timing and precision." That sounds promising. Hellraid will support four player online co-op. It should launch later this year on the Xbox 360, PlayStation 3, or PC.